Introducing DURAGADGET's brand new and exclusive custom watch storage case - the ideal storage solution for keeping your expensive timepiece safe when not in use! Crafted from lightweight yet impact resistant, durable EVA material, our custom designed hard shell case will offer maximum protection from knocks and scrapes through everyday wear & tear. Featuring dual steel zip closure, you can rest easy knowing that your precious watch will not be exposed to the elements or dust in this practical splash and shock resistant case. 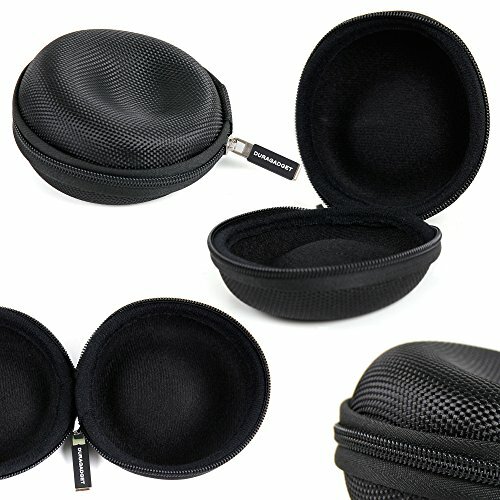 Perfect for the avid jet-setter, our case is ergonomically contoured and shaped to support your watch whilst inside meaning it won't rattle around risking it being damaged in transit, plus our lightweight and streamlined design means you can slip it into your suitcase or handbag without adding any extra bulk or weight! Not one to falter on style in the face of practicality though, we've finished our case in a classic black which effortlessly integrates with the design of your high tech gadget and allows you to transition between work and home with maximum ease. N.B. Please note this listing is for 1 x Watch Custom Case ONLY - any images of other devices are for illustrative purposes.